Hello again! I'm finally back. It was ambitious of me to think I could get back in the swing of things as soon as I have my boxes in my new apartment. While the boxes have gone, the new headache is putting things (tidily) into neat compartments and drawers and all those things I do not yet have - but Internet's working, hot water's running, and I finally made my first meal at my new place, so it's a start. I don't have new photos yet (as a forewarning, the new pictures will have different lighting) but I have these posted some time ago to my Twitter. You know how sometimes you own fifteen of the same shades and are still inexplicably drawn to buying more? That's how I am with dark blues. I pulled out everything I had and swatched them all, initially wanting to put whatever I didn't want/was a dupe to the blog sale. But I decided prudence and clutter be damned, I have to keep them all. Do you have a similar obsession? I bet I have at least as many red lipsticks too. I totally know what you mean! 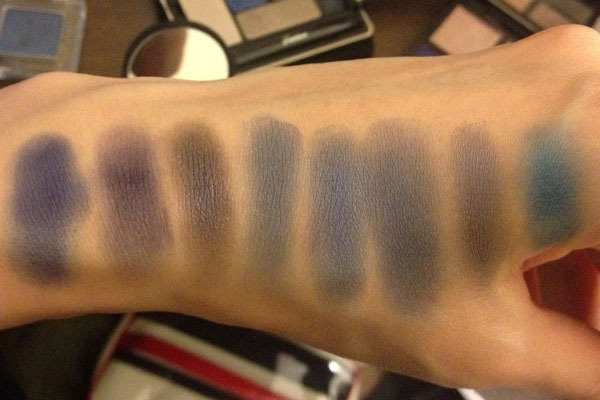 For me it's olive/bronzey shades and (but of course!) red lipsticks. mine's blues and, to a lesser extent, greens. 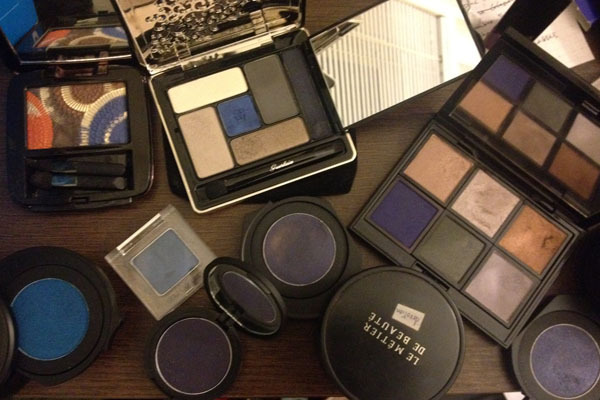 I love blues too, perhaps because they work well with brown eyes. It seems like a good color to start wearing now that it's fall! I think they are different enough. I have the same obsession with pink eyeshadows!